Today was Day #3 of Chocolate and Umami or Bacon Theme Week. 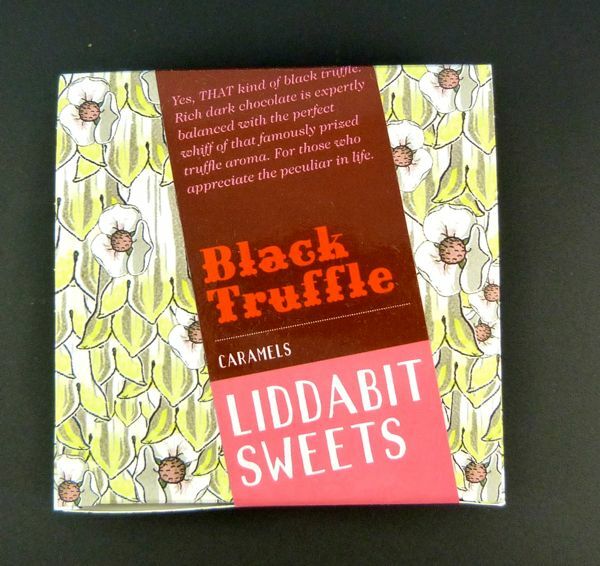 Extending Chocolate and Truffle Theme Week, from this past week, today I tried some Black Truffle Caramels, very subtlely flavored with Black Truffle oil, from Liddabit Sweets (Brooklyn, NY). 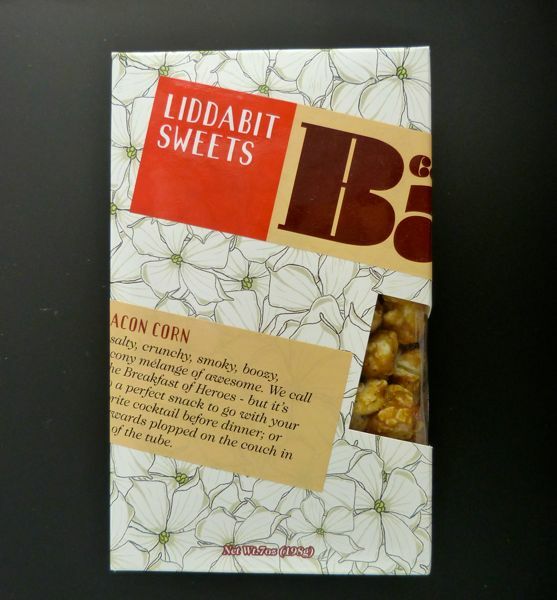 Liddabit makes a variety of creatively designed and flavored treats with interesting and local ingredients. 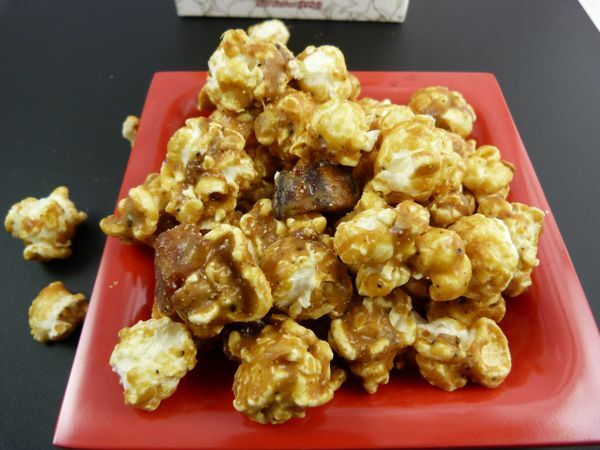 I also enjoyed a small plate of the company's Bacon Corn -- not your parents' caramel corn. 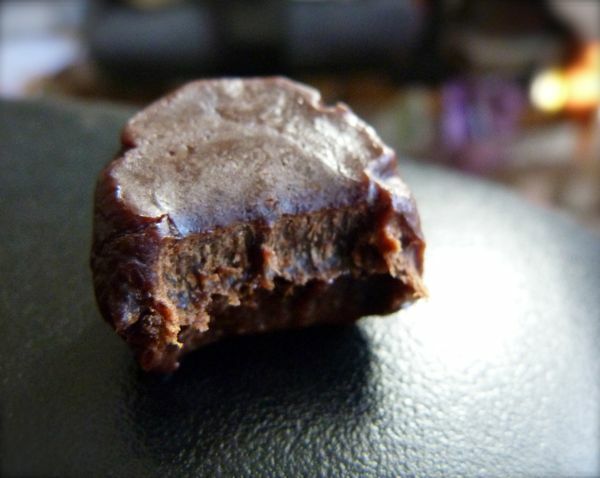 This batch was made with maple syrup, Bourbon whiskey, Crop to Cup coffee beans and kosher salt. Described as "a salty, crunchy, smoky, boozy, bacony melange of awesome" on the packaging, the smoky bacon, coffee and bourbon flavors were overwhelmed by the sugar and corn syrup covering the air-popped popcorn. 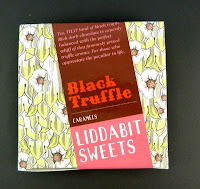 (I'd be curious to see how these other flavors taste if the sweetness was dialed back.) However, this doesn't disqualify this fun snack from being a "Breakfast of Heroes" -- another self-titled moniker on the box. Fun is fun. I respect that.